Alternative Sytems - B & M Slots Pty. Ltd. 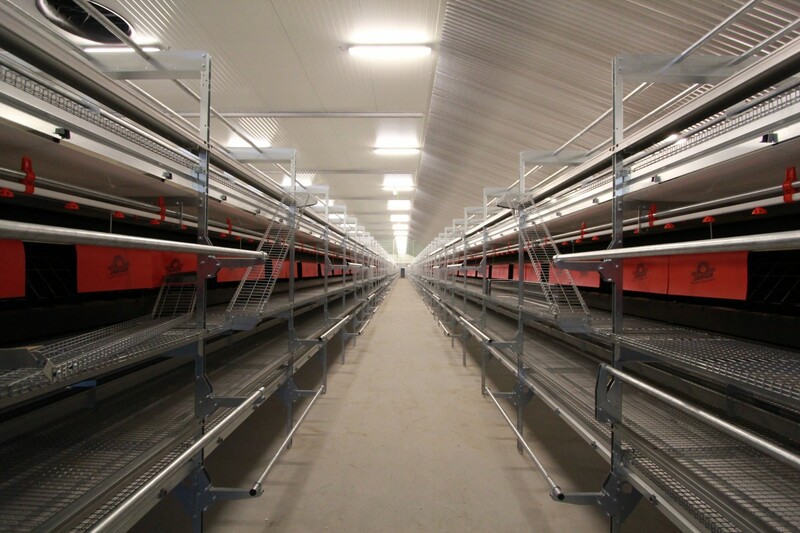 The Comfort 2 aviary system consists of multiple tiers and enables to achieve a higher stocking density. The system stimulates the natural behaviour of the hen. Hens move throughout the entire system and have easy access to integrated laying nests and feeder and water lines. 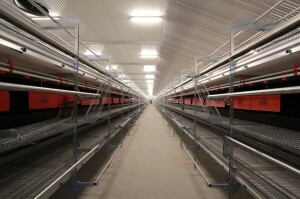 The Comfort 2 aviary system offers maximum stocking density. Laying nests provide an optimal environment for the hen to lay eggs. System and floor eggs are kept to a minimum. Each floor of the aviary system is equipped with plastic TwinWorld slats or wire slats with an open structure and manure belts for good manure removal and hygiene in the house.